MGM Growth Properties, MGM Resorts’ newly created real estate investment trust (REIT), is planning on the biggest IPO of the year. The new company is reportedly targeting a float of $1.2 billion, as it begins marketing its latest venture to prospective investors. MGM Resorts gained approval from regulators to create MGM Growth just last month, and a regulatory filing on Friday reveals the company is seeking to sell 50 million shares, priced between $18 and $21. If it reaches its target, it would raise nearly twice as much the $626 million amassed collectively by the 35 companies that have offered IPOs in the US so far this year. An REIT is a company that purchases property through combined investment. It works like a mutual fund, allowing both large and small investors to own shares of real estate. But because they receive special tax considerations, REITS can trade at higher stock market prices, and so typically offer investors higher yields. Under the reorganization, MGM Growth now owns ten MGM Resorts properties: Mandalay Bay, the Mirage, Monte Carlo, New York-New York, Luxor, Excalibur, and the brand new Park development on the Las Vegas Strip. 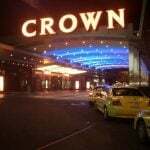 It also encompasses the MGM Grand Detroit in Michigan, and the Beau Rivage and Gold Strike Tunica in Mississippi. MGM Resorts itself will continue to retain several key properties, including the MGM Grand, Bellagio, and Circus Circus on the Las Vegas Strip, as well as others jointly owned with separate companies, such as CityCenter and the new T-Mobile Arena. No doubt due to cause further uproar, MGM’s reviled new no-longer-complimentary parking policy applies to properties owned by the spin-off company as well. Funds raised from a successful IPO would be used by MGM Resorts to pay down debt, the company said Friday. 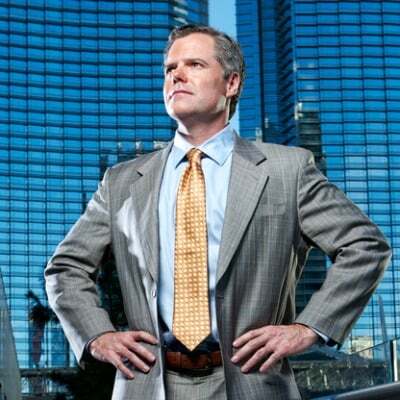 “[A REIT] improves the balance sheet of MGM Resorts, it provides another growth vehicle for the company and it will . 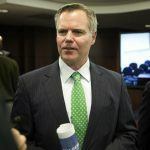 . . provide a different investment opportunity, as [Growth Properties] goes out and can acquire assets,” MGM Resorts CEO Jim Murren said of the formation of the new investment venture last month. 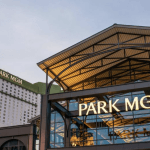 MGM has followed the lead of Penn National Gaming, which created the casino industry’s first-ever REIT, known as Gaming and Leisure Properties, Inc. (GLPI), in late 2013. In July of last year, GLPI acquired the entirety of Pinnacle Entertainment’s real estate assets for $4.74 billion, and the company’s stock has been going from strength to strength ever since. Analysts have speculated that if MGM Growth also proves to be successful, it could prompt a domino effect within the casino industry, with a rash of operators reorganizing their property assets into REITS. Industry analysts believe that smaller or regional operators, lacking the assets and scale of companies like MGM and Penn National, might be walking a very dangerous high wire by following such a trend, however.